Need to let off steam? 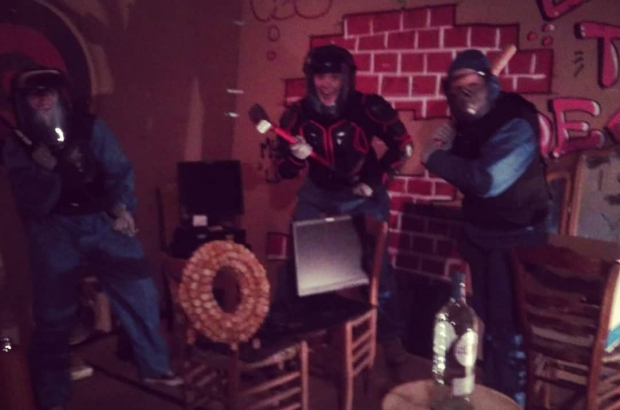 Belgium's first "rage room" offers the chance to destroy a room full of objects with a baseball bat for a full hour. The concept has been imported from Japan and has also proved successful in the US. Michaël Bernaert decided to launch Wreck-It in Bruges after encountering a stressful period at work. "I'd seen a documentary about a rage room in Toronto and I thought maybe it should be here in Belgium," he told RTBF. Starting from €30, participants don a helmet and protective clothing and - either individually or in a team - get to work trashing electronic equipment, furniture and other objects that have been recovered from the dump. Customers can choose the music to accompany their experience, from heavy metal to classical. Wreck It's website even goes so far as to describe the rage room as "a unique dating experience". "We basically offer you a nice interior where you can do whatever you want, as long as you keep it legal," the site says. "We just happen to also give you armour and put baseball bats inside the place. "You can choose to either whack a PC, printer or other electronics and a whole load of other random items." For €150, a group of up to four people can trash a "fully stocked room ... with multiple electronics, furniture, and more than enough breakables like bottles and glasses". "Everyone comes out with a smile, but tired," Bernaert added. Claudia Quintans, a psychologist specialising in emotion management, said the therapeutic benefits of rage rooms was yet to be proven. "Anger management has to take into account other things as well," she said. "It's actually by putting words on emotion that the person will be able to handle that emotion."